Given the above, it is reasonable to conclude that the global economy is on relatively stable footing. This string of positive data reports, and the new highs that continue to be reached for the S&P 500, Dow Industrial Average and NASDAQ indexes this year, may ratchet-up “risk-on” behavior amongst investors and stem the tide of outflows from Domestic equity funds that we have seen thus far in 2017 (according to Investment Company Institute data). These economic gains alone, however, do not mean that stock market will move considerably higher though as the stock market has been on a historic run over the past 8 years without these types of strong, consistent economic gains. 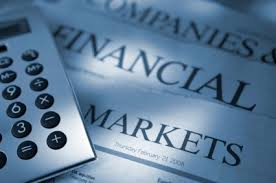 Accordingly, some of the stock market gains that many might anticipate would take place as a result of the above may have taken place already, at least in the United States. To help visually represent the recent history of inconsistent economic growth contrasted with consistently positive stock market growth that we are describing above, consider the table below, using more recent data from Bloomberg, that shows the quarterly total return of the S&P 500 index and quarter-over-quarter GDP growth rates* from the end of the third quarter of 2015 through the end of the third quarter in 2017. These strong economic data reports may also increase the likelihood of one more rate hike of 25 Bp by the Federal Reserve (Fed) this year after their December meeting, which the markets should not be surprised by but may not necessarily receive warmly. Potentially offsetting any concerns over one additional rate increase in 2017 is the nomination of “Yellen-like” Jerome Powell as the next Fed Chair and the potential for some form of tax-cuts/reform/repatriation legislation being passed before the end of the year. Depending, of course, upon what is ultimately included in the legislation, markets would likely be pleasantly surprised to see the legislation passed prior to year-end given that many are anticipating that such passage will not occur until some point during the 1st quarter of 2018. As a result, approval of a new tax plan prior to year-end could very well provide for a tailwind to close out 2017 with some form of a Santa Claus rally. Overall, our current take is that the economy should continue to show signs of additional strength and that the markets will continue to move marginally higher over the short-term. This does not mean that short-term bouts of volatility are not possible, because they are, but are likely to be short and shallow when they do occur. Global diversification and asset class/sector/sub-industry weightings will be critical, in our view, as fundamentals look to drive growth potential during the next phase of this market cycle. *Source: Bureau of Economic Analysis. U.S. Gross Domestic Product (GDP) measures the final market value of all goods and services produced within the U.S. It is typically the most frequently used indicator of economic activity. GDP data derived from Bloomberg for this chart was GDP US Chained 2009 Quarter over Querter (QoQ) Seasonally Adjusted Annual Rate (SAAR). SAAR data have been adjusted for the effects of seasonal patterns.